Well folks, we have a special Wednesday edition of the Road to a Blockbuster today, in honor of Tammy (2014) premiering in advance of the American Fourth of July Weekend. As usual, this column is targeting an anticipation of the cultural, commercial, and critical response to this Melissa McCarthy romp across America. only offers McCarthy being her as a reason to see this movie. It's not like that's bad thing. First of all, this has a really rare feel to it that not many other films can pull off - it really really feels like a movie we're in a mood to see. It reeks of America, specifically a hick-America that so captures the national attention these days. It just seems like such an Independence Day movie to see. The last time I really sensed this national atmosphere that aligned so well with a film's marketing effort was Frozen (2013), to be honest. Be sure, Tammy isn't going to be the next Frozen, nothing like that - but the Disney animated spectacular was just such an answer to our horrible winter as Tammy already feels like a quintessential jingoistic "Hoorah for America!" movie without really being overtly so - it's going to be a commercial slam dunk. 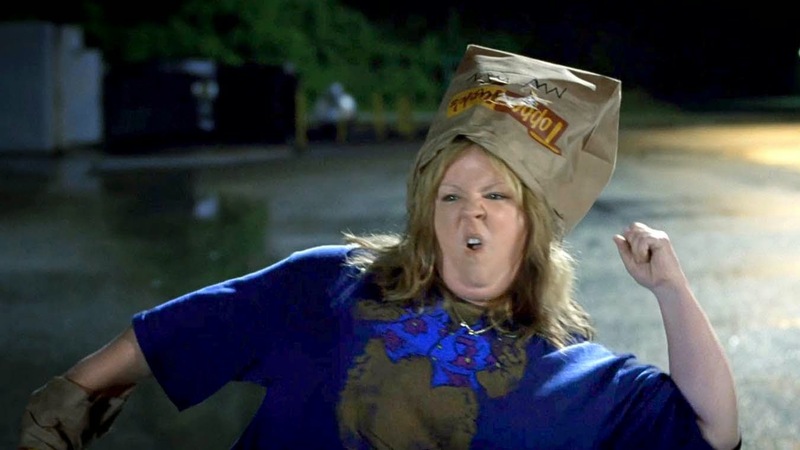 Melissa McCarthy's brand is crazy strong, and she really hasn't had a stumble since blasting on the scene with her supporting role in Bridesmaids (2011). Personally, I feel like her schtick has gotten a bit repetitive, though. On the fringes of Bridesmaids and in that SNL Ranch Dressing Sketch she's incredible. Although to be honest, all of what is simultaneously labeled praise, success, and overexposure only comes from that supporting turn, Identity Thief (2013) and The Heat (2013), in addition to really brief stints in drek like The Hangover: Part III (2013). It's important, though, that Identity Thief and The Heat were both buddy pics, although I'm not sure Jason Bateman is packing the seats, even if Sandra Bullock is. Since all of these were R-Rated Comedies of differing scales of hardness, Tammy is solely in the McCarthy wheelhouse, although even with the presence of Susan Sarandon, it's primarily been advertised as a McCarthy solo joint, which really makes it the big test of whether or not she can anchor a film by her presence alone. I'm of the belief that she can - in addition to her goodwill and the tremendous feelings of America exuded by this film it's also really a heady Heartland sort of film that will play to ridiculous effect in Middle America. Never doubt Middle America and especially their love for their own, which Tammy is clearly embodying here. Too often do we get New York and L.A. backwards versions of these people that are more mean than parodic, but Tammy looks to give a more honest yet still genuinely funny portrayal of the hillbillies running our country. It's going to be a knockout. What about the critics? It's already getting a resounding "okay" from everyone, and with a summer already filled with some pretty critically great comedies, I think it's safe this will be left in the dust. Without many more to come, though, there's no reason why this can't play forever. Culturally this looks to be more just a part of the McCarthy canon than something that really stands out. I think back on how Blades of Glory (2007) is really just another Will Ferrell movie that adds to his body of work than something that pushes or innovates that body of work. You know, like I said, if this really becomes McCarthy's signature starring role my presumption could really be off - but at this point I need to be proven wrong. I do like the idea of this becoming a definitive summer movie, though, and that might keep it riding along for a while. So, what do you think? Will you celebrate America by watching Tammy during this long holiday weekend? Or are you still catching up on TransFourmers (2014)? Let us know below!